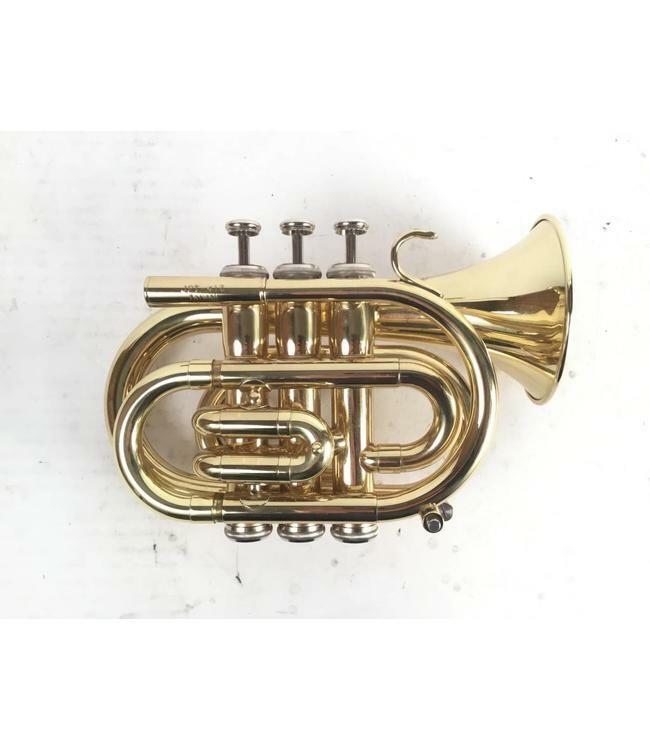 Used Jupiter JTR416 Pocket Trumpet. There is some light wear throughout the horn and evidence of dent repair in the bell. Comes with case.